My thoughts on last night’s game, like most other Irish fans, are basically: uggggggghhhhhhhh. But maybe I can articulate that a little better. There are many different kinds of losing—there are the days when everything that can go wrong does go wrong, the times when you show up to play and realize you are woefully unprepared. There are games I’ve unsuccessfully tried to block from my memory (the entire 2007 season, for instance, or the painful National Championship game two years ago). But then there are games where we fought as valiantly as we could and still didn’t quite get the win. In games like this, I am still proud of my team, and I am less likely to retreat into abject despair at the meaninglessness of the whole endeavor, but there’s a different sort of sting that remains—because we were so close to having it all, and it seemed to be ripped out of our hands. Did we deserve to win? I don’t really know. I’d like to think so, of course; I have an obvious bias. 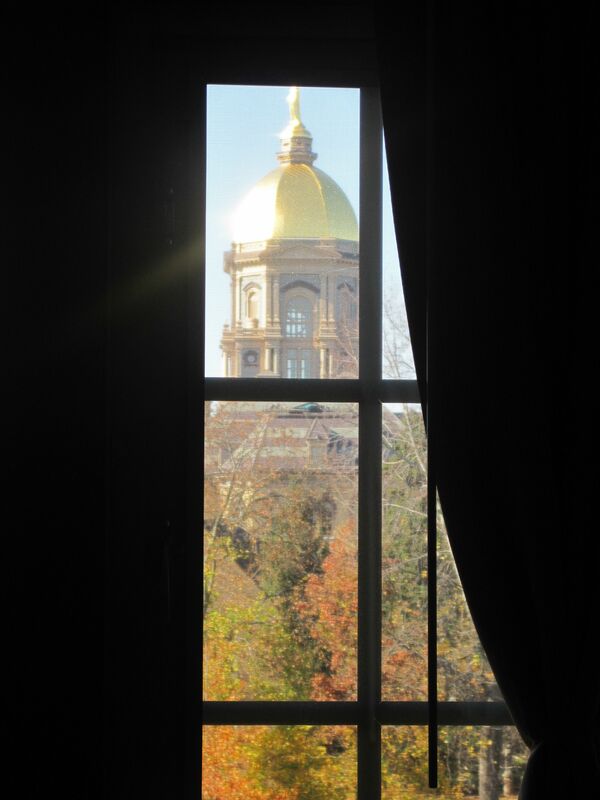 I am part of the Notre Dame family, and the players on that field are part of the same community that nurtured me for five years and beyond. It’s natural for me to root for their success. And given the apparent arrogance and lack of integrity demonstrated recently by Florida State’s players and athletic officials, it would have felt really good to win. But unfortunately, football games are not integrity contests. Indeed, living with integrity is not always rewarded in this life. If we’re only doing it for the trophy, we’re going to be disappointed. Sometimes all you can do is to do your job as best as you can and let the chips fall where they may. No, life is not an integrity contest, and as tempting as it may be, I shouldn’t be comparing our own integrity with that of others at all, for several reasons. I don’t truly know their intentions and shouldn’t presume to. We are far from perfect ourselves. We shouldn’t be patting ourselves on the back for being better than anyone else; we ought to be holding ourselves to our own standards. We might have higher standards in some ways, but let us not forget that we fail to live up to them on a regular basis. The call seemed crazy to me, but despite watching every Notre Dame game for the past eight years, I honestly can’t claim enough expertise about football to really know for sure. I’m not a referee, and I never will be. And no matter whether the call was right or wrong, we can’t change it now. Notre Dame fans know this lesson all too well after the Bush Push of 2005 (the game of which we do not speak). If we’re playing for the trophies alone, our priorities are out of order. In life and in football, sometimes you can try your hardest and still not win; sometimes the trophies you deserve are denied you. Win or lose, we have to remember that there are things far more important than trophies, and last night we didn’t lose sight of those things. Win or lose, we sing the Alma Mater. Win or lose, we play for Notre Dame Our Mother, and we are still a family. So I am proud of my team today, despite the sting of an oh-so-close loss and the questionable call that decided it. We did what mattered, we didn’t stop fighting, and we took care of everything that was within our control. Some things are just out of our hands. I look back at my own life, of all the times I wanted something so badly, did all the things I should have to earn it, and was left empty-handed. So many times. In hindsight, these things that seemed devastating at the time can be understood as learning experiences and even blessings. Sometimes they make perfect sense in retrospect; sometimes I still scratch my head over why they happened—but I don’t often do so, because I can’t dwell on them. Whenever I found myself grieving over these near-misses, perceived injustices, and blows to my ego, the only way to get out of my funk was to move forward and just do the next right thing. 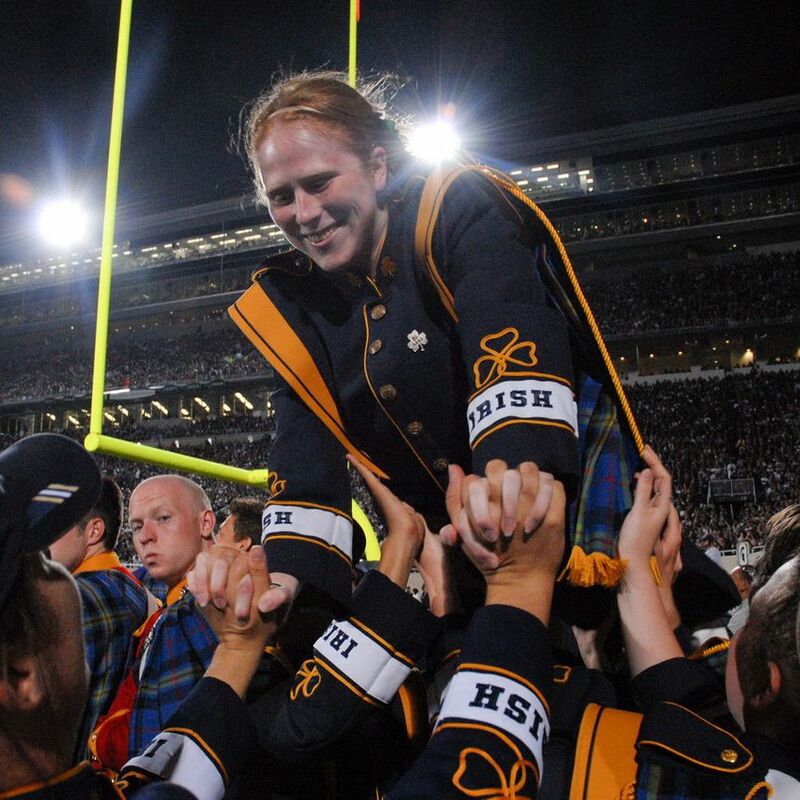 So I will keep on cheering: Go Irish, beat Navy.